With fresh veggies coming into season, we like to find yummy ways to use them up, whether they come from our garden, a farmer’s market, or our local grocer. I originally got this fun recipe from my sweet mother-in-law, and the truth is you can really use any veggies that you love to munch on. Make it up as an appetizer for summer get-togethers, as a snack to share, or for a quick lunch time bite. Best of all it keeps for a couple of days. 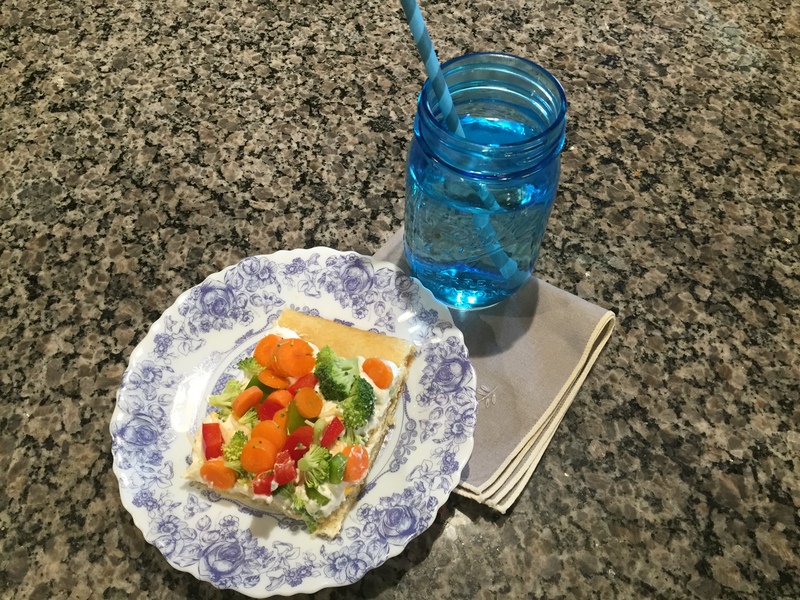 My favorite part – the crunch of the veggies combined with the tart creamy sauce. Give it a whirl and let us know what you like on your pizza. Gathering veggies and accoutrement to put together a scrumptious snack. Preheat your oven per direction on the crescent rolls. Take your favorite cookie sheet, grease lightly. My favorite way is to put a dab of olive oil on a clean paper towel and wipe down my cookie sheet. 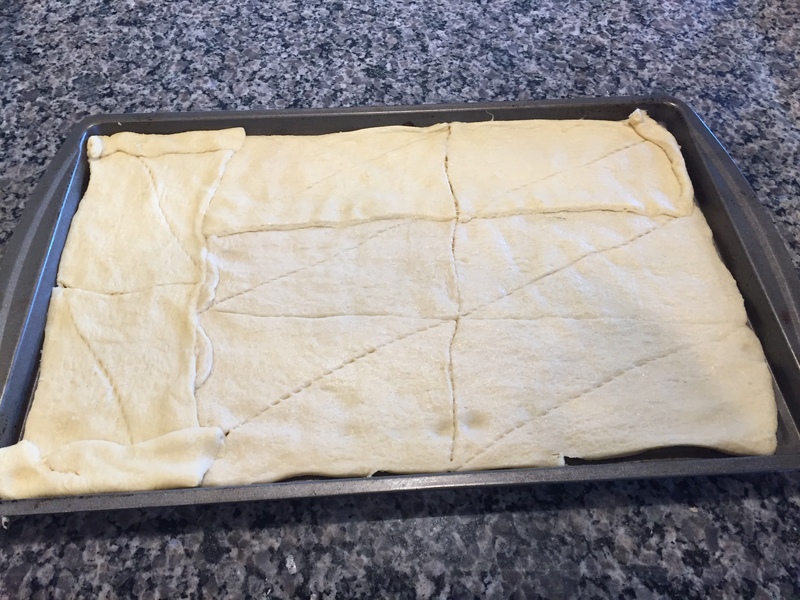 Roll out the crescent roll dough in a flat layer. Pinching together the seams. Bake according to directions. I generally go with the least amount of time on the range provided. Crust will turn golden brown and puff up slightly. Remove from oven and cool completely. If only making dough from scratch was this easy. Simply roll out your crescent rolls and go. Combine all of your chopped veggies in a large bowl and toss until they are completely mixed. 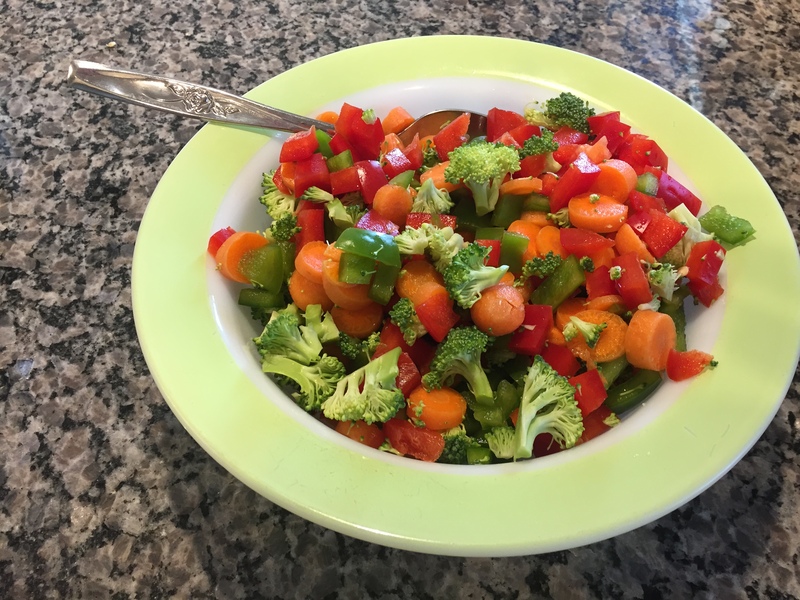 Delicious bowl of fresh veggies all chopped up. If you have one, visit your local farmer’s market and pick out your faves. In a medium bowl, use hand mixer to blend cream cheese and ranch dressing mix. Blend in sour cream until mixture is smooth. Mixture will be lumpy when it is just the cream cheese and dressing. Once you add in the sour cream, mix until smooth. 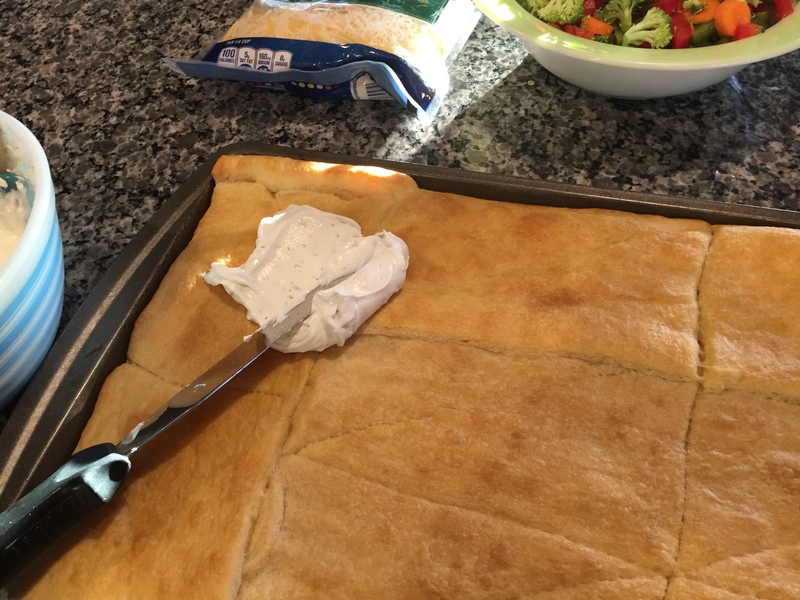 Once crust has cooled, spread your cream cheese mixture onto the crust. This is your pizza sauce. Spread your sauce on your pizza. I use an icing spreader. 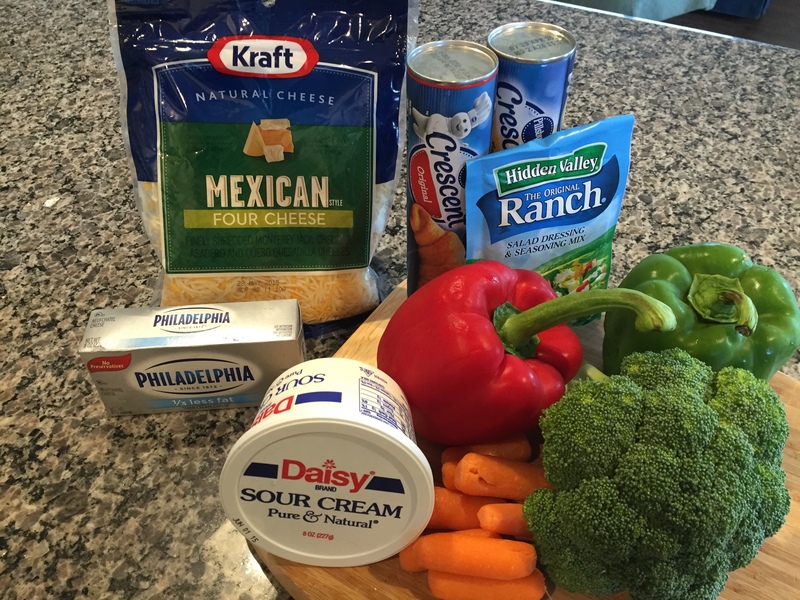 Sprinkle on the cheese, top with the veggies. Sprinkle on a little or lot, just add cheese. Time to dig in and enjoy the crunchy fresh veggies! Slice and enjoy immediately. Keep leftovers refrigerated. Time to take this perfect snack to the porch. Let us know what you like on your veggie pizza. If you want to make this ahead for a party, prepare crust, sauce, and veggies separately. Store all ingredients in fridge separately. Assemble right before party. Will keep in the fridge for two to three days. I usually leave it on the cookie sheet and just cover with tin foil. Sometimes I use Neufchatel cheese instead of cream cheese. I think the taste is the same, it is just a lower fat option.